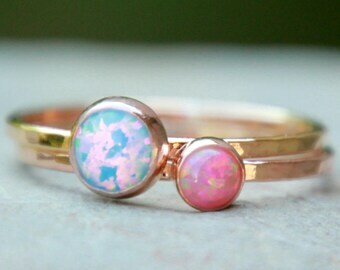 How insanely gorgeous did this oxidation turn out?! 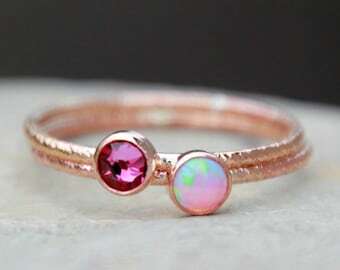 I will be offering these rainbow rings in my shop after I see how well they wear. 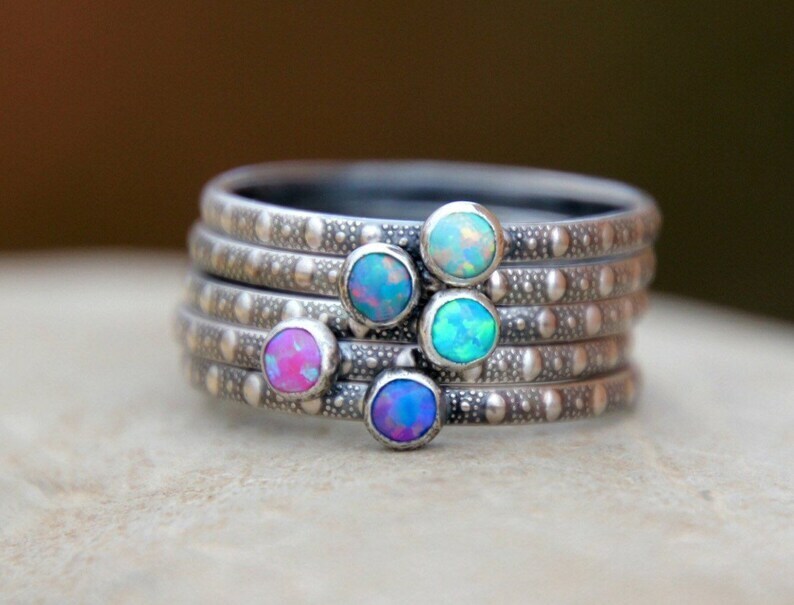 These Stacking Dot Rings are in my shop now with a beautiful black/gray patina. 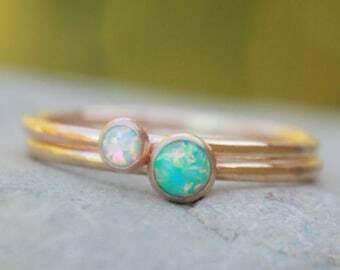 New Dainty Oxidized Stacking Ring! Each ring is hand made from scratch using a my new sterling silver pattern wire. This pattern has a unique dot design on a textured background! I have oxidized the band to really bring out the design and dots, but you can request to have the silver left plain and shiny. 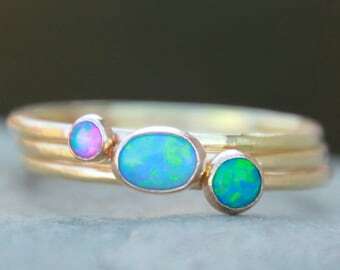 I have set one of my specially made opals in a .999 fine sterling silver bezel. 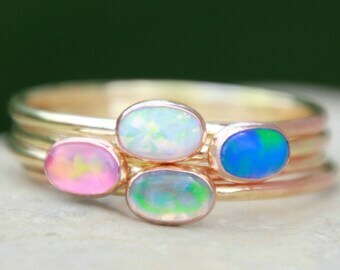 The opals are very fiery with a great sparkle! They remind me of candy! 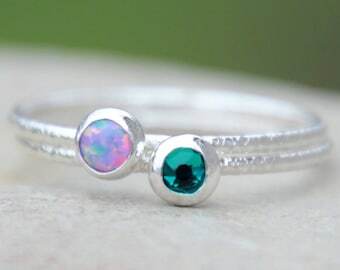 The band is about 1.8mm wide, so it is perfect if you want to only wear one ring or stack them up! 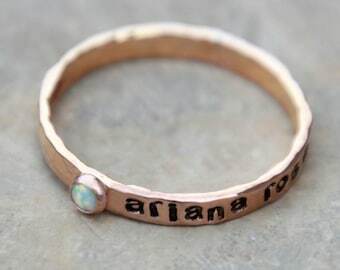 ♥♥♥FOR ORDERING MULTIPLE RINGS♥♥♥: Please make your selections in the drop down boxes, click the 'add to cart' button, then return back to the listing to make your next selection. Once you have the desired amount of rings in your cart, proceed to checkout. If you have any questions, please feel free to message me. I am happy to answer any questions! Please Note: That since I am using a pattering wire, there will be a tiny spot on the back where the pattern breaks and I solder the ends together. This is not considered a defect, but a sign of a truly hand made ring from scratch.